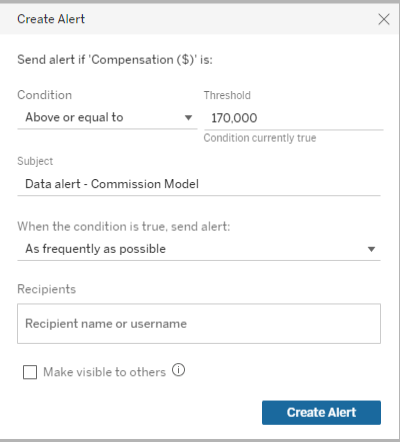 When data reaches important thresholds for your business, data-driven alerts automatically send email notifications to key people you specify. 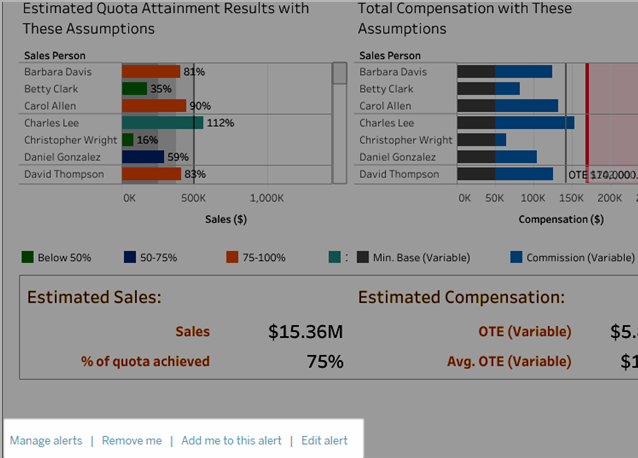 You can set data-driven alerts on dashboards and views, but not story points. 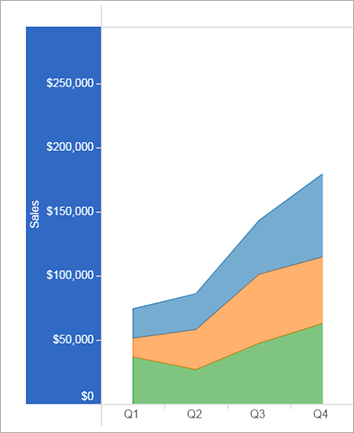 For time-based charts, use relative date filters so people automatically receive alerts as new data appears. If you don't own the content, ask the author to make this change. In the toolbar, click Alert. 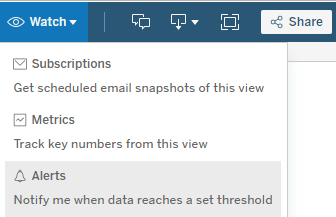 In the Create Alert pop-up window, set the data condition and threshold value that triggers alert emails. In the view, a red line shows where the threshold falls relative to your current data. Specify the email subject line, schedule, and recipients. Then click Create Alert. Note: For live data sources, alerts are checked every 60 minutes for Tableau Online, or on a frequency set by administrators for Tableau Server. Extracts are checked each time they're refreshed. If an alert fails, you'll receive a notification email that tells you which alert failed and when, with a link to your site to fix the problem.